If you use multiple cloud storage services, every time you need to share files with your team you have to download them offline. This not only takes a toll on your time, but also makes you vulnerable to security issues. 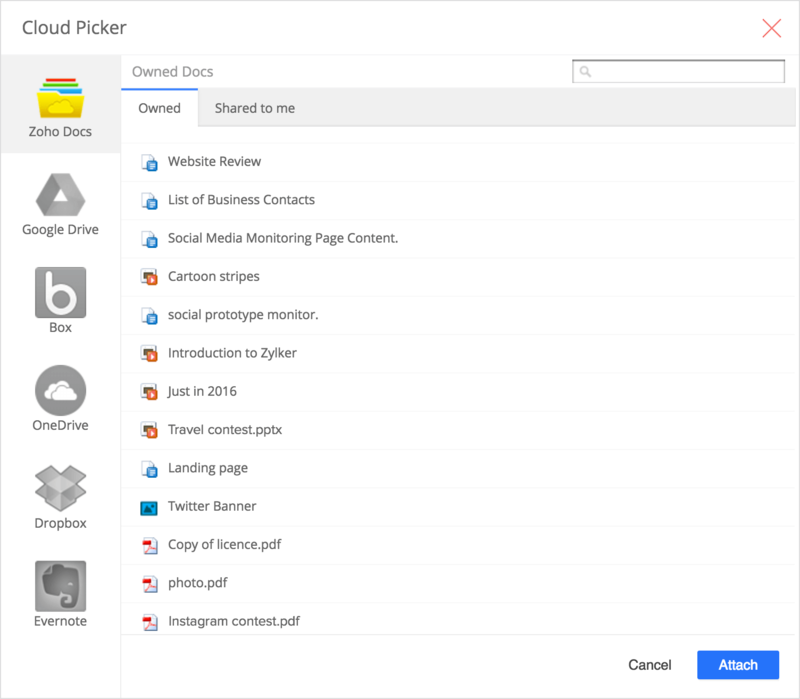 Cloud Picker simplifies the whole process. Sign in to your favorite cloud storage applications just once, and access your files whenever you need them. For example, if you have a file in Evernote that you want to share securely with your team, you can do it by creating a task in ContactManager and share the Evernote file through the comments section.